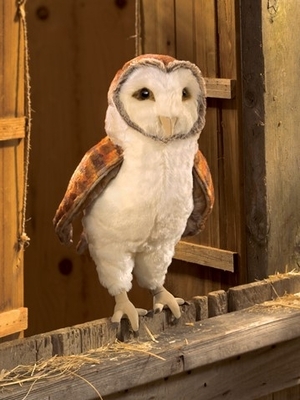 Folkmanis 3124 - Ethereal and elegant, the Folkmanis® Barn Owl is ready to roost with you. 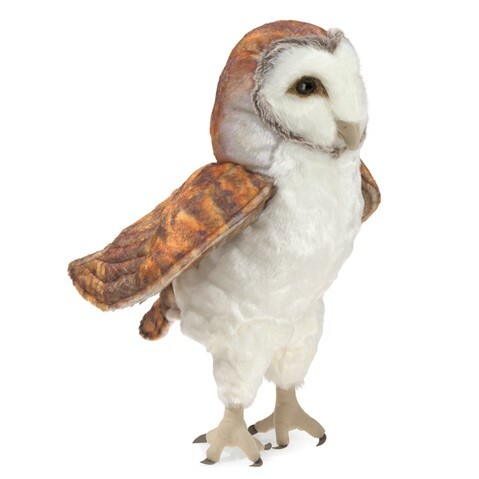 This updated version features a feathery plush body accented with exquisitely printed wings that take flight with your expansive imagination. Movable head and wings. Puppet measures 10” long x 7” wide x 14” tall.